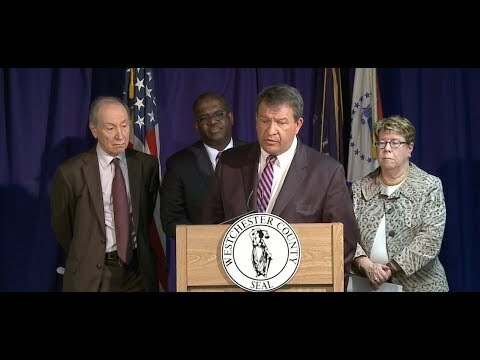 Westchester County Executive George Latimer has laid out a four-pronged plan for the future of the Westchester County Airport. As part of the proposal, Latimer said that they plan to develop and adopt a master plan that will “serve as a roadmap to guide the airport through the coming years in all facets of its operation,” which must be submitted by July 15 to avoid losing a $1.38 million grant and to avoid jeopardizing any future grants from the FAA. There will be a public meeting on the master plan at 7 p.m. on June 6 at Rye Brook Village Hall on King Street. Additionally, the county executive is calling on the Board of Legislators to review previous plans for a private sector entity to take control over the airport. In 2016, the plan was rejected by the BOL, and last year, it was not acted on. A public hearing has been scheduled regarding the airport for 7 p.m. on June 11 at the Hergenhan Recreation Center on Maple Avenue in Armonk. There will be a public meeting on operations at 7 p.m. on June 25 at the West Harrison Senior Center on Underhill Avenue.